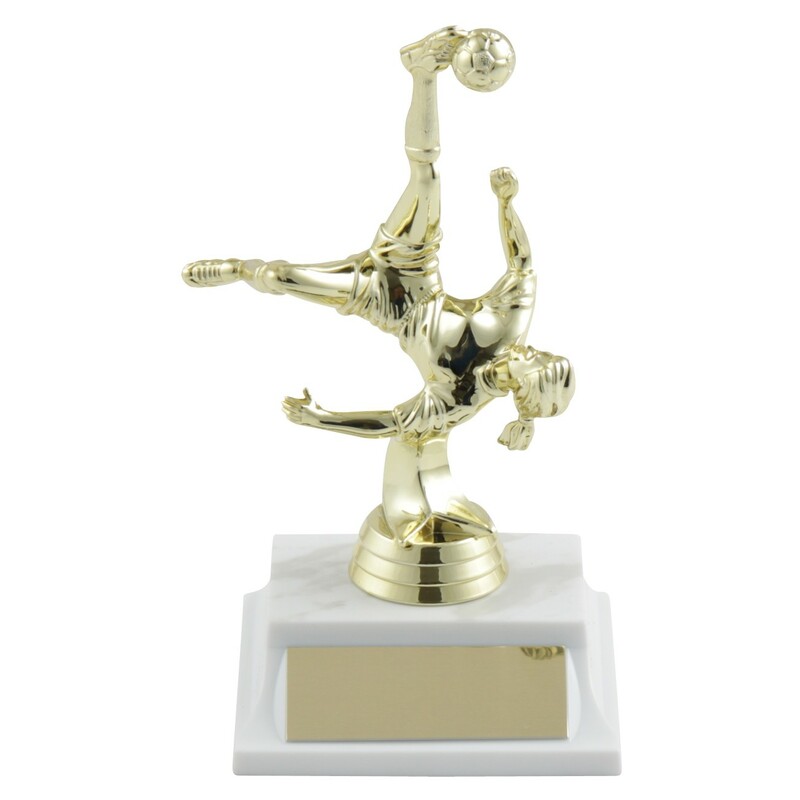 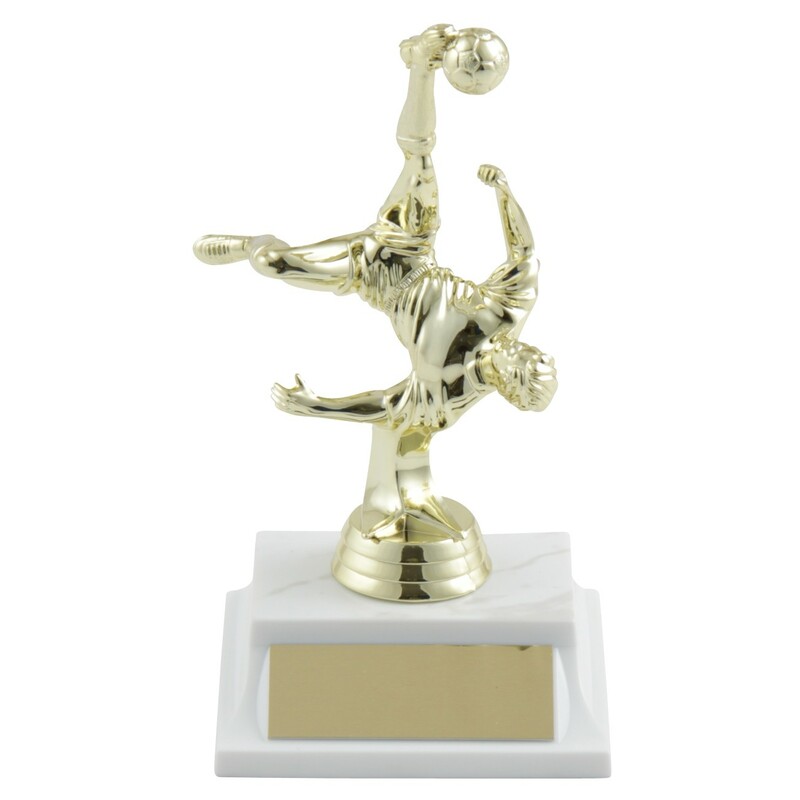 Our Scissor Kick Soccer Trophies feature a gold tone soccer figure posed upside-down in a bicycle kick on a trophy base. 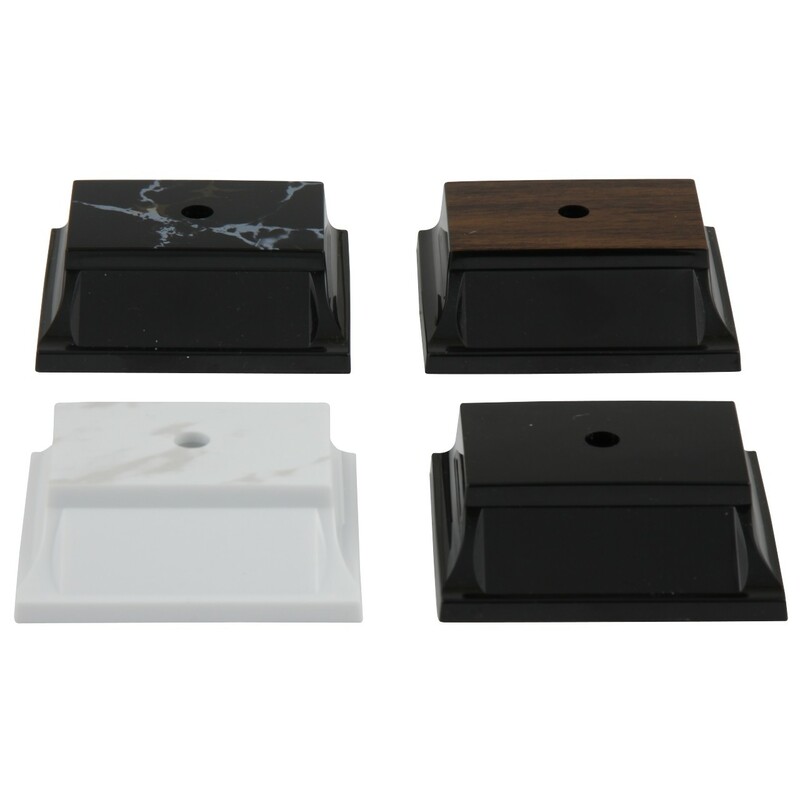 Choice of male or female figure and base color. 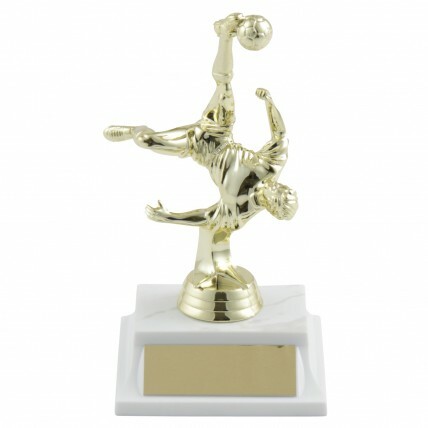 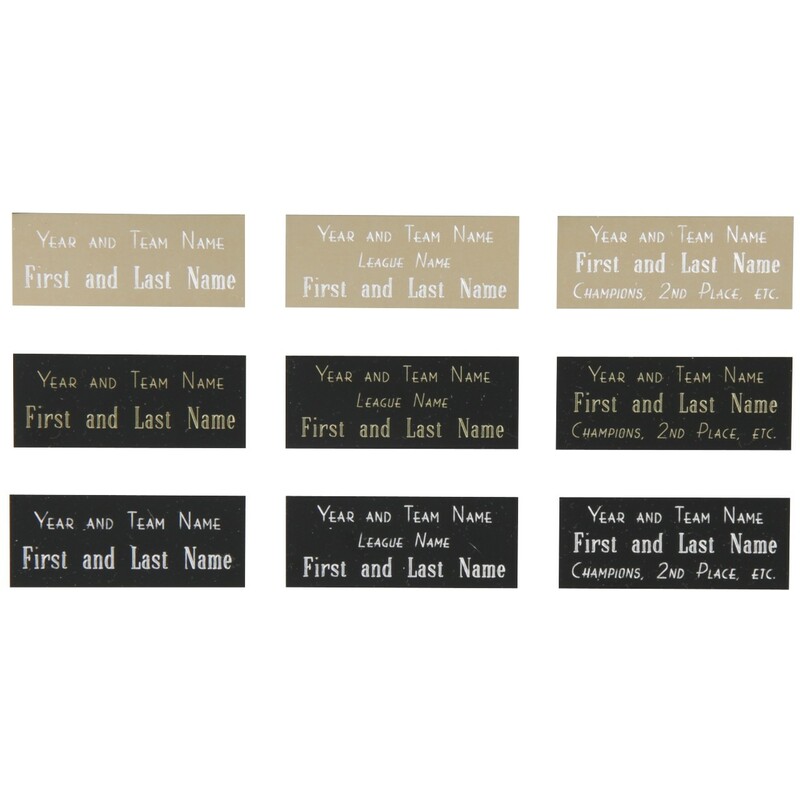 Trophy is approximately 6-1/2" tall and includes up to 3 lines of FREE engraving!